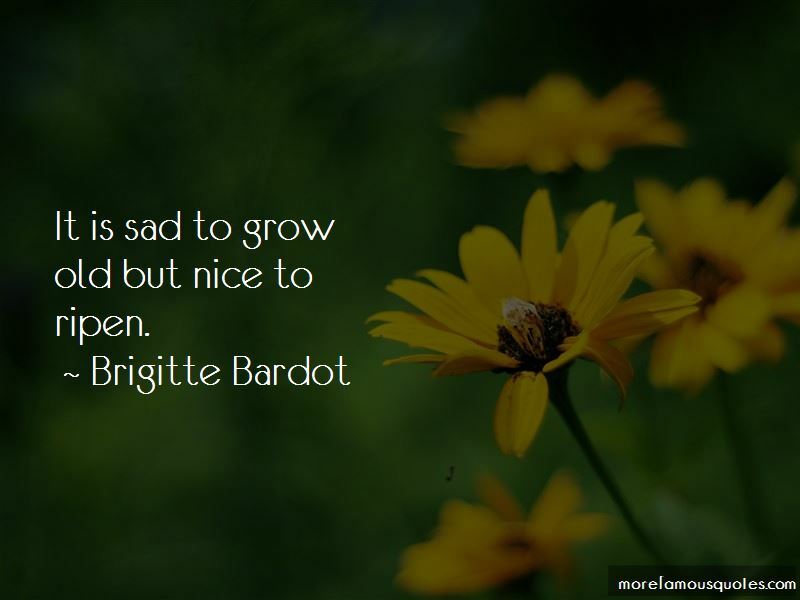 Enjoy the top 121 famous quotes, sayings and quotations by Brigitte Bardot. I tried to make myself as pretty as possible and even then I thought I was ugly. 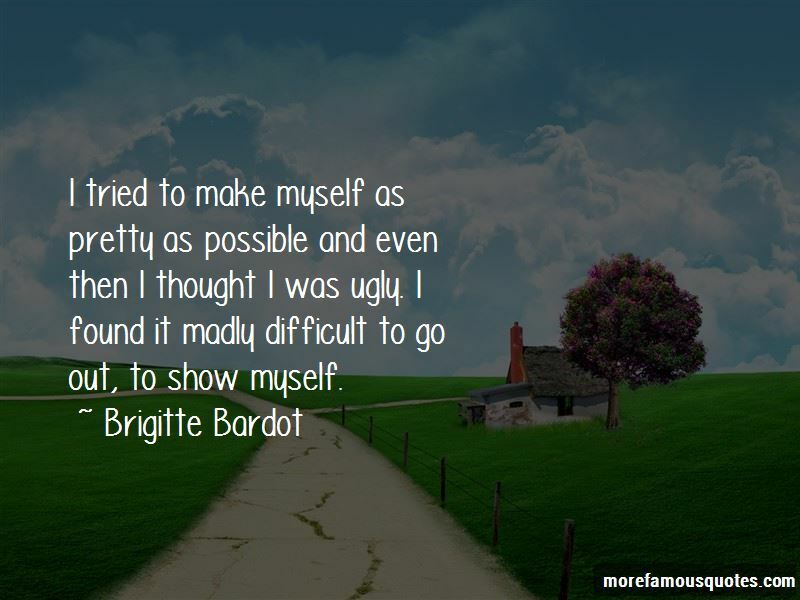 I found it madly difficult to go out, to show myself. I am astonished and surprised that someone could consider making a film about me without talking to me about it. Romania will not be able to evolve if it continues to take cruel decisions against sensitive creatures, which are under the protection of European law. People have already dirtied my name too much. Champagne is the one thing that gives me zest when I am tired. [Roger] Vadim became famous worldwide as a director, and I as an actress, but the other side of the coin was terrible. My life was totally turned upside down. I was followed, spied upon, adored, insulted. My private life became public. 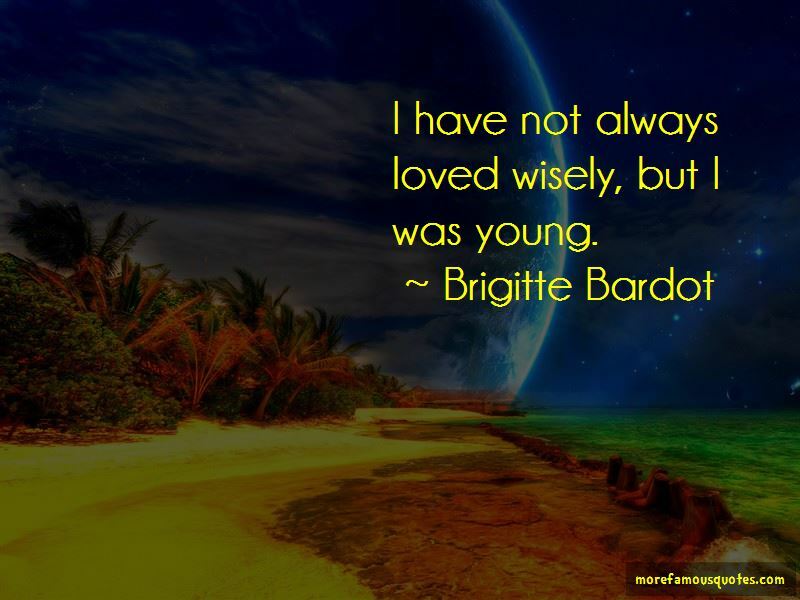 Want to see more pictures of Brigitte Bardot quotes? 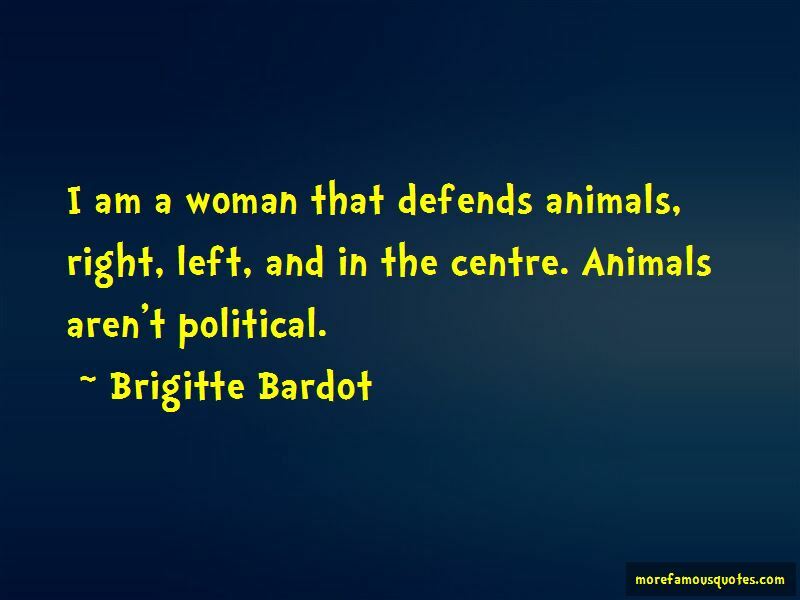 Click on image of Brigitte Bardot quotes to view full size.